Are you looking for a way to bring a new fall scent into your home or life? Maybe you need a fresh smell to spruce up your new dorm room or apartment? Everyone seems to be searching for that perfect scent to get not only their home but their life ready for that transition into fall. Here at H2L, we carry the best line of essential oils, and there’s a scent for everyone! To get a little familiar with some of the doTerra oils in our studio before your purchase here is some information to help make the decision process easier! Frankincense- This has been used for thousands of years for therapeutic and healing properties as a part of aromatherapy. They’re sourced from the resin of the Boswellia sacara tree that is commonly grown in Somalia. The word frankincense comes from the term “franc encens” which means quality incense in old French. 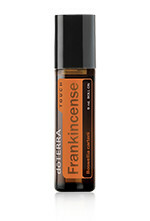 Frankincense is used by either inhaling the oil or absorbing it through the skin (usually mixed with a carrier oil). It is believed that the oil has the ability to transmit messages to the limbic system of the brain, which is known to influence the nervous system. This oil is good for using as a stress- relieving bath soak, a natural hygiene product and house cleaner. It also is proved to be anti-aging and a wrinkle fighter, to name a few. 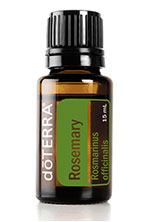 Rosemary- This oil has an evergreen and forest like the scent. It has recently been shown to boost nerve growth factor and help support the healing of neurological tissue and brain function. With Rosemary being native to the Mediterranean, it has been used in folk medicine for thousands of years to help improve memory and relieve muscle aches and pains. This oil contains carnosol which is known for anti-cancer and anti-inflammatory properties. Rosemary is known to help with hair growth when applied to the scalp. This oil also helps enhance the performance of the bile-producing gallbladder and is a great detoxifier. Rosemary also helps to lower cortisol! 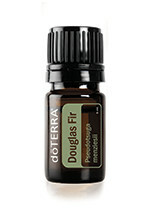 Douglas Fir- This oil comes from evergreen fir trees in New Zealand. Douglas Fir is often used in comparison to Christmas trees because of its fresh and woody aroma reminiscent of the outdoors. When used during aromatic use, this oil can help to clear the airways. However, used topically, it can cleanse the skin. Douglas Fir oil isn’t just useful for a room fragrance or for skin care use, it can also be used for cleaning! If you want to switch it up, try adding a few drops to your favorite cleansers and soaps to help purify and become refreshed in a new aroma. Wild Orange- This Oil possesses qualities which make it ideal to support healthy immune system function. 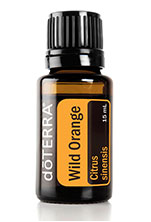 Wild Orange can be taken daily to cleanse the body or used on surfaces as more of a natural cleaner. This oil will help uplift the mind and body while also purifying the air. Wild Orange is great for purifying, as its properties are antibacterial in nature. You can improve your mood and peace of mind with just a few drops of Wild Orange oil, as well as help to curve your appetite by adding a drop or two into your water bottle and drinking it throughout the day. Because this oil isn’t already cool enough you can use it for cooking! The perfect all in one essential oil. TerraShield- This oil is for our outdoor enthusiast! TerraShield oil blend harnesses plant-protecting oils into their product in order to protect them from potential threats to their environment. This oil has an array of smells such as Cedarwood, Ylang Ylang, Catnip, Lemon Eucalyptus, Litsea, Nookta, Aborvitae, and Vanilla Bean Absolute to create a topical and aromatic blend. TerraShield is natural and safe and can be used on anyone! Use it before your hike, or maybe you’re hosting a barbeque outdoors? Just spray it on and it will help to eliminate those environmental annoyances. On Guard- Need an oil to help support your immune system? Well, this one is it! 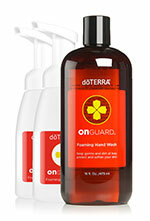 On Guard contains a blend of five essential oils that can help to kill off harmful bacteria and viruses. The five oils are; wild orange peel, clove bud, cinnamon bark/ leaf, eucalyptus leaf and rosemary leaf/flower. On Guard is said to help the immune system fight off illness when it does occur. Recent studies have shown that On Guard is effective in fighting off the influenza virus as well! There are multiple ways that you can use this oil such as ingesting it, diffusing it into the air for aromatherapy use, using it on the skin, and using it as a household cleaner. Don’t see the scent you want in our studio? Not a problem, feel free to email us at info@h2lstudio.com. We can order them for you and let you know when they come in!